On Tuesday, 2015-05-26 at 15:17 UTC, I infected a host where Angler EK sent Bedep as a malware payload before getting CryptoWall 3.0 . 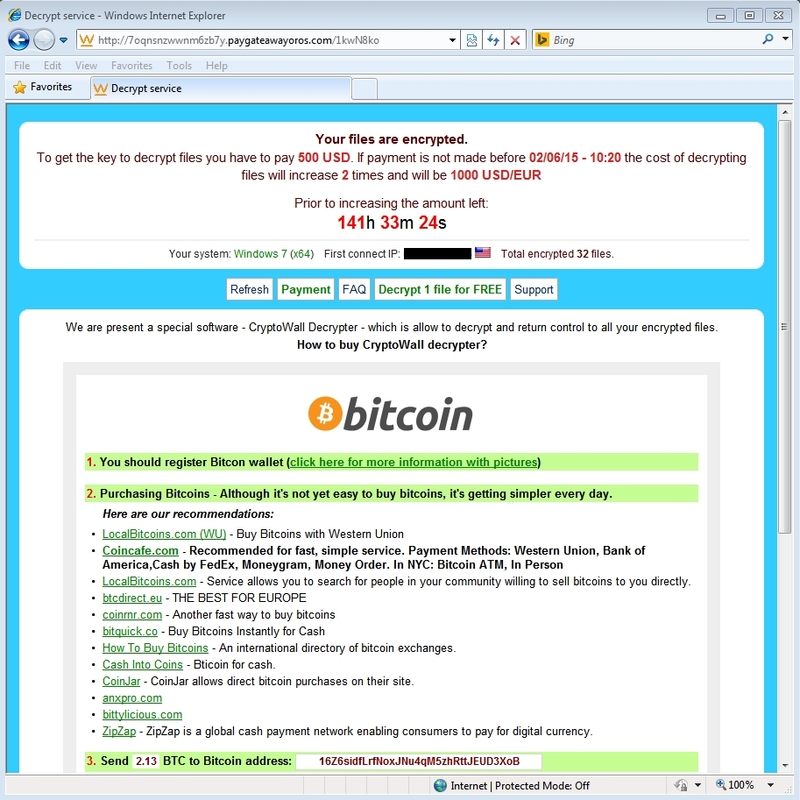 On Wednesday, 2015-05-27 at 17:30 UTC, I infected a host where Angler EK sent CryptoWall 3.0 as the malware payload. 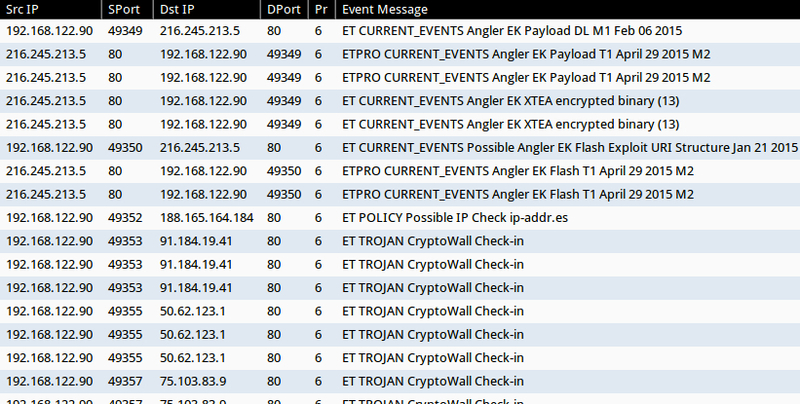 I usually see Angler EK send different types of ransomware [2, 3], and I've seen plenty of CryptoWall 3.0 samples from Magnitude EK; however, this is the first time I've noticed CryptoWall from Angler EK. CryptoWall 3.0 traffic has changed a bit from my first diary about it on 2015-01-19 . Traffic below was seen from the infected host on 2015-05-27 starting at 17:30 UTC. Note: These URLs repeated several times with different random strings at the end.